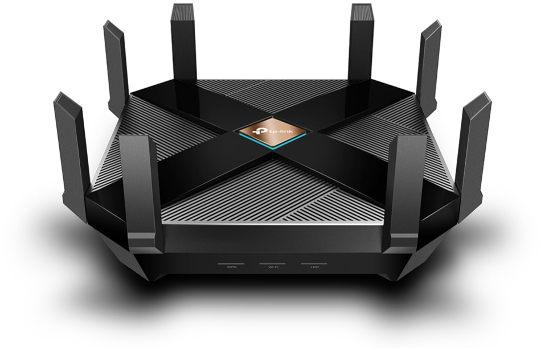 The Archer AX6000 is TP-Link’s first router with Wi-Fi 6 – based on the next generation 802.11ax Wi-Fi technology. 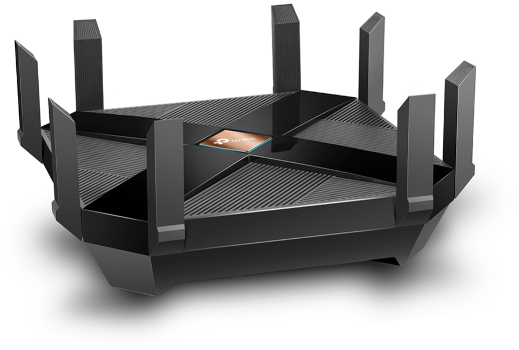 Take your Wi-Fi to the next level while being backwards compatible with 802.11a/b/g/n/ac Wi-Fi standards. Defend your system from malicious threats that can sneak through downloads and file sharing. 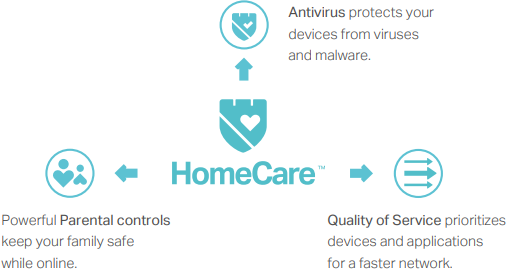 TP-Link HomeCareTM, powered by Trend MicroTM, protects every device from the latest cyber threats with powerful security, built-in antivirus, and cutting-edge intrusion prevention, comprehensively creating a highly protected smart home environment. An extremely powerful 1.8GHz 64-bit quad-core processor, two distinct co-processors, and 1GB of RAM work tirelessly to power your network. 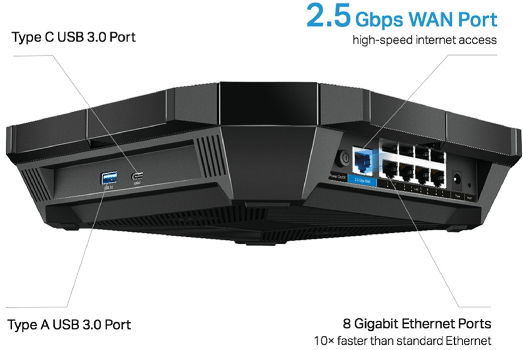 Archer AX6000 provides a 2.5Gbps WAN port to make fully use of the over 1Gbps internet access, boost the whole internet throughput. 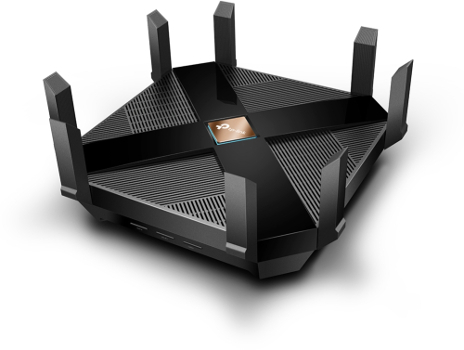 Ultimate Range Wi-Fi – 8 high-gain external antennas deliver a Wi-Fi signal to every corner of your home, making all of your connections more efficient and stable. Type C & Type A USB 3.0 Ports – Provide data transfers up to 10× faster than a traditional USB 2.0 port. 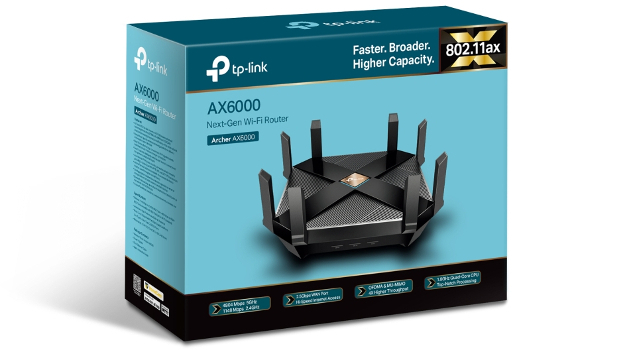 Download the TP-LINK AX6000 Next-Gen Wi-Fi Router Datasheet (PDF).